Peggy (Brandy) Stell has been quilting full-time since 1989. In that time she has made over 300 quilts. She was commissioned to make the Pizza Hut T-shirt quilt that now hangs in Louisiana. 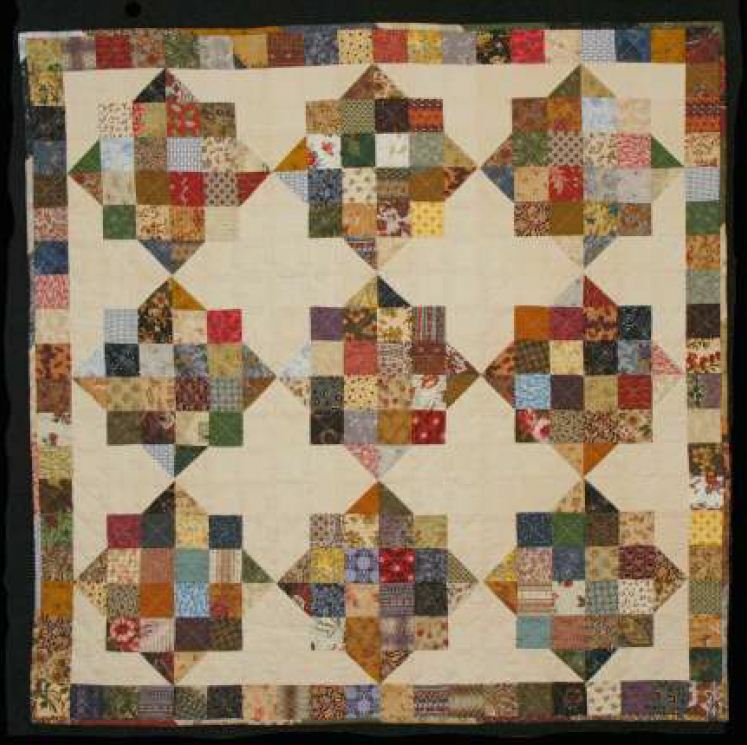 The Trinty Valley Quilter's Guild of Fort Worth, Texas honored her by electing her Quilt Show Chairman in 1990. Quilts made by Peggy have been exhibited in Dallas at the West End Arts District. She currently travel's lecturing and giving classes for quilt guilds while designing templates and patterns to keep the quilting tradition alive for future generations. 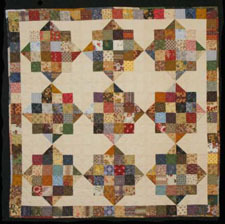 Today's quilt comes to us from Peggy "Brandy" Stell of Brandy's Quilt Patterns. She has put together an excellent pattern with comprehensive steps for any level of quilter to learn how to work with half-square triangles! Check out her site to see more from this amazing quilter, including some clever and useful tools that every quilter should have!